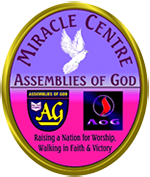 Welcome to Miracle Centre Assemblies of God website. We are glad you have taken time out to visit our church website. We are a very friendly, Bible-based Church. We believe God’s love, shown in Jesus, is for everyone. We believe in creating an encouraging atmosphere for those seeking to learn about and know Jesus Christ. 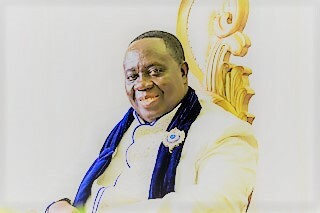 The core belief of our church is that Jesus Christ is the way to a fulfilling life through Salvation giving us joy, peace, success and eternal life. We believe that anyone can enjoy peace with God through Him. Please feel free to browse our website using the menu on the top of the page. You can find out who we are, where we meet and what activities take place. If you are thinking of joining us for worship services or any of our activities we can assure you of a warm welcome and life transforming experiences. We would love to hear from you, so if you have any thoughts, comments or prayer requests, don't hesitate to contact us by going to the contact Us Page.